This issue was all about Fantasy Illustration! Hands down, my favorite article in September's Imagine FX issue was "The Modern Masters of Fantasy Illustration" (p. 40); which featured artists like Ruan Jia, Tran Nguyen, Donglu Yu, Miles Johnson, and Jana Schirmer. Ross Tran and his vibrant portfolio was also featured, stop by his You Tube Chanel for great tutorials. Other than the astonishing artwork featured, my favorite tips from this section were on finding style by letting go of the pursuit and just getting technical (p. 46), finding friends online in art forums (p. 48), sketching frequently in a moleskin (simple and portable) (p. 48), and using layers and keeping them organized which helps when changes need to be made (p. 49). The article on how some artists use crowdfunding for a living was insightful (pp.17-19), as I have been curious how that all works. My favorite tip gleaned from the Artist in Residence, Terryl Whitlatch, is how she organizes her studio so "reference is always at hand and drawing space is maximized" (p. 22). I don't currently have a studio, but boy do I dream of one! A place where I don't have to clean up, can leave unfinished or in-progress projects out to pick up right where I left off, and get back into traditional mediums! Enjoyed the Q&A's on how to paint animal furs on a warrior (p. 30), painting authentic Celtic patterns on a shield (p. 32), some tips on painting a waterfall (p. 32), and on painting a neon underwater glow (p. 35). In the workshop by Jana Schrimer (pp. 64-67) I learned about creating a sky using a gradient map, finding an idea through simple thumbnails, working with the cover layout, and finally her steps for bringing a piece from sketch to finish and beyond! In the workshop by Ben Zweifel on creating a highly detailed Star Wars scene (pp. 74-75), I learned about thumbnails, using 3D assets, and working with package design. Lastly, upon first glance at the Reviews section, I immediately fell in love with and added the Nomad art satchel, a fantastic looking portable plein-air drawing aid, to my wish list! This section of the book covers pre-production ideas for the short film, The Little Match Girl, scrapped Disney projects as well as personal projects by Hans Bacher. 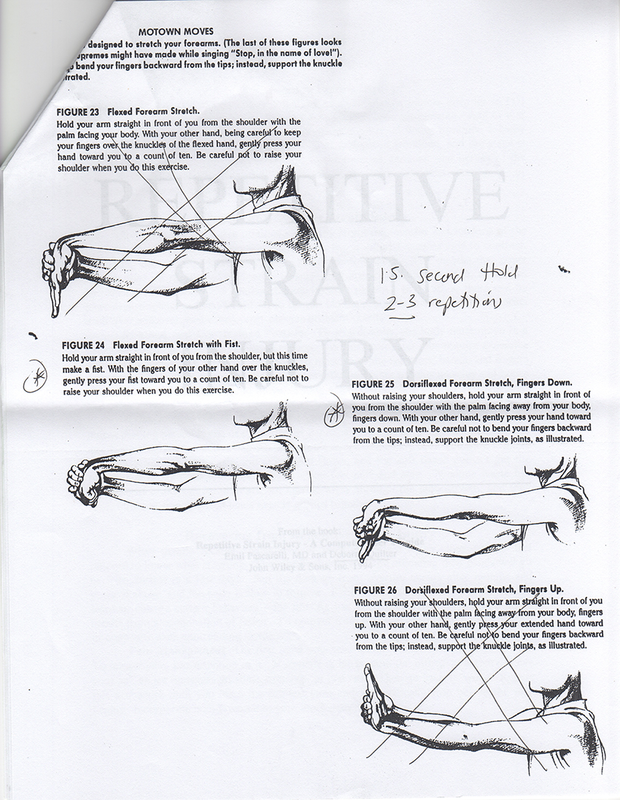 Especially useful are some invaluable tips and advice to artists working in animation. 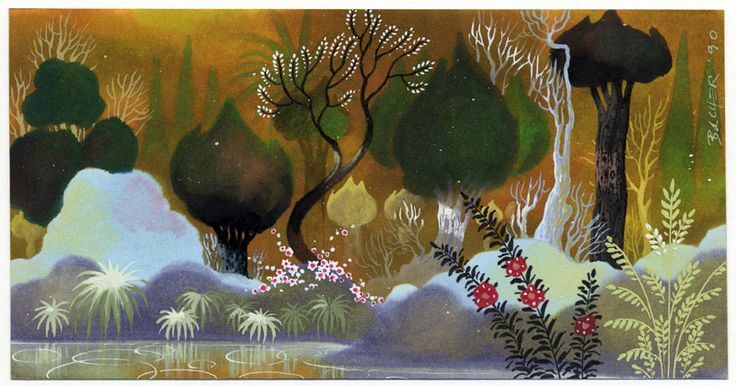 Lastly, described in detail are the master backgrounds on the film Bambi and the intricate way they were produced. - EXAMPLE - The Little Match Girl - Studied 19th c. Russian painters and architecture of St. Petersburg. Designed snow, night scenes, and Russian inspired winter costumes, because set at Christmas. Wanted Russian characters, so studied Nicolai Fechin's portrait paintings and more. - EXAMPLES - Wild Life - Recruited to help fix stylistic problems, but story was worse. A costume designer helped with the crazy futuristic costume design. Style was over the top design inspired by a modern mash up of famous pop artists, abstract painters, modern architects and furniture designers. Environment drawings, color sketches and texture designs. - My Peoples - Style was a mixture of various American painters like Thomas Hard Benton and Grant Wood (unique landscape composition, and interesting use of textures). 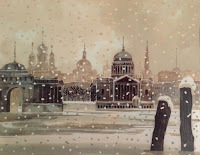 Also inspirational were Bill Peet's children's books (cross hatching texture, in the end it was too technical). - New Version of Fantasia - Abstract art of the last 70 years with a story about a bird estranged from the flock. Focus was on Klee, Picasso, Miro and Matisse. They were growing it out of new CG ideas and "...wanted to come up with a new art form. But probably it was too much art" (p.160). - Friday Cat - A Hitchcock crime story about a cat and a parrot in London, reminiscent of 101 Dalmatians. It was supposed to be a combination of 2D and 3D. with a new art form. - Decision Making - The most important decision is when something is finished. "A good recipe for me always was, look at the artwork the next day. If it still looks good then you can live with it" (p. 168). Another choice is the technique (which hinges on time, budget, and subject). 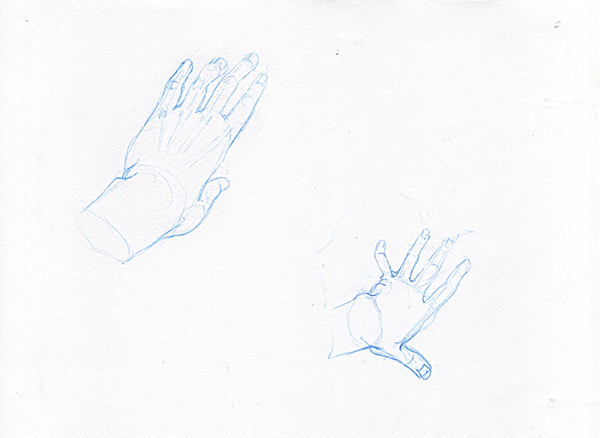 Small sketch vs. larger illustration. Traditional mediums had their hardships and share of decision making, contrasted with Digital which is easier, faster, but the extreme number of choices are limitless along with tricks and filters which can bring the work somewhere you didn't intend. Remember to stick with the original concept and not to deviate too far. then you can live with it. - Own Projects - Fun way to escape the industry work by dreaming up own ideas for movies. Browsing artwork in museums, seeing beautiful landscapes or architecture inspire new art and ideas. Teaching, believe it or not, is a powerful motivator and driving force for creativity. New style inspiration comes from a blend of unusual ingredients. One of his old designs for a book never published may now become an animated short. 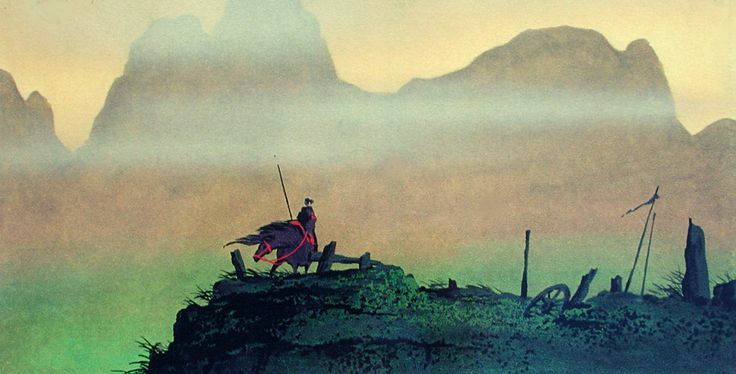 His first big artistic inspiration came at 16 from highly stylized art in an animated short. - Unproductive - There are countless meetings for a production designer to attend: story, workbook, brain tryst, layout, background, color, effects, sweatbox and more...funny sketches done at these meetings catch overflow energy. - EXAMPLE - Bambi - Along with a tour/description of the inside of the camera department, Bacher described the masterpiece backgrounds, the various multiplane cameras used for the film and intense process of creating a multiplane shot. This concludes the reading/summary of Dream Worlds - thanks for joining me! 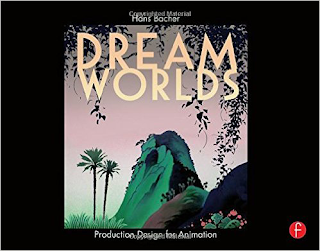 This section covered more details on being a production designer as well as some key principals for design, composition, and color. Examples were shown from film Mulan, Lilo and Stitch, and Brother Bear. 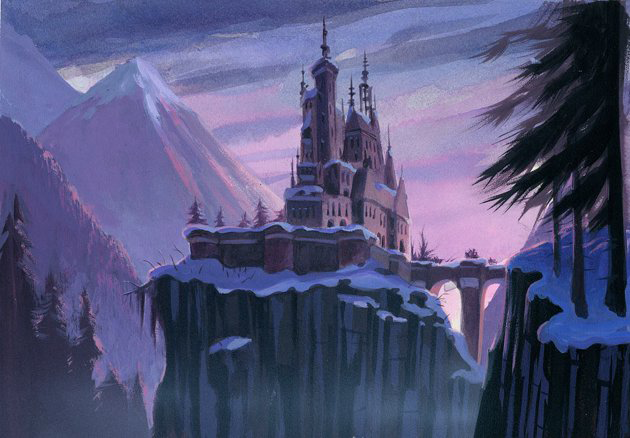 - EXAMPLE: Mulan - Hans Bacher's surpurb designs ended up earning him the title production designer on the film. The research for the Style Guide, took many paths: The Development Crew (Visual Development Team) had problems, they used the look of Chinese watercolor but added too much detail. He used a Chinese comic book that was a great reference for unique designs on trees, mountains, villages, characters, animals, and props. The designs were very flat and lacked perspective, a stylistic choice. They decided on no detail at all. Other reference material included auction catalogues from Southeby's and Christie's, painters like Jean-Baptiste-Camille Corot (no detail, just mood), Franz Richard Unterberger, Eugene Galien-Laloue (precise architecture), and Giovanni Boldini (rough expressive style). Of course inspiration stemmed from Chinese calligraphy, philosophies like Yin & Yang, balance, and stylization for every design. 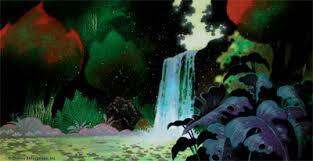 They aimed at a more classic disney style referencing the Disney archives for backgrounds from Bambi and Pinocchio. Additionally they invited guest artists from around the world and Ric Sluiter to help with the mediums of watercolor, oil, and gouache. - Rythem - Create environment compositions using studies (keep them simple), they should lead the eye to the center of the interest with secondary action, elements in the background; smooth, straight, or different direction lines; variety in shapes, value, and color. "Rhythm creates the visual language of your movie" (p.122). One artist usually designs the overall look of the film and others follow. Pages 130 & 31 list a variety of animated films/shorts in various styles, and artists that inspired them. In regards to style, "hopefully[, in the future,] art will remain more important than technique" (p. 132). - EXAMPLE: Lilo and Stitch - Hans Bacher was hired for a short time for location designs and a few interesting compositions. He went to Kauai to do some research, photographing stock, and sharing the task with Ric Sluiter, who painted. The art was filled with the charm from a first time visit. 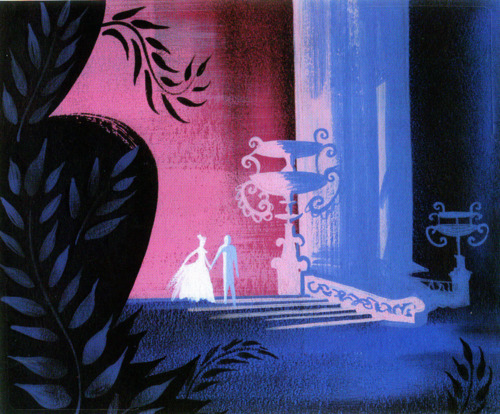 Watercolor backgrounds were used for the final production. - Value: the lights and darks of any color. Simplify working with light, dark, and three midtown values. One example of arranging values in a composition is to use a foreground, one or two middle grounds, and a background. The final choice of value placement depends on the story moment/situation. - Color - it should be used to create different moods (which may vary depending on cultural background). Some color language is universal, for example: cool colors are calming, while hot colors are aggressive. In film, color corresponds with specific story events. There is an "emotion/action curve" that corresponds with a "color mood curve." Various sections are designated by "color-chapters" and "color-transitions;" while generally smooth transitions, contrasting colors can signify dramatic story changes. The rules of color for backgrounds also apply to character colors; compare colors for villains with heroes, comic book characters, and old vs. young people. Studying films will give a better understanding of color. - EXAMPLE: Brother Bear - The German Alps (referenced in Balto) were snowy, contrasted with Alaska's variety of terrain. The goal was "moody" ideas. Various talented artists and animators were brought on board to develop the look of the film. This section of the book focused primarily on composition, camera angles, and film jargon. 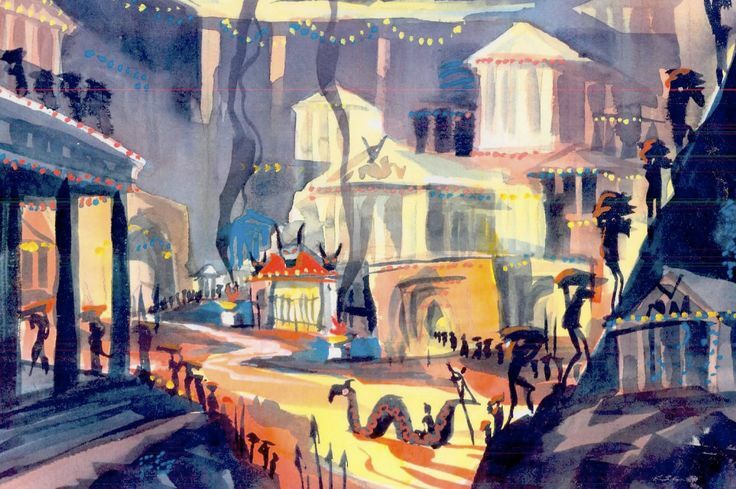 Example artworks were shown from four Disney films: Aladdin, Lion King, Brother Bear, and Hercules. Visual Development and Research was discussed. - Visual Development: Explores all the different ways to translate a story & story ideas into visuals; early in production. Includes development of a style for the film (including characters, color, composition, and editing). Research (architecture, history, landscape, costume, and props) and concept art done exploring various styles. Film language is developed. The style and mood will determine the colors, camera angles, and cutting of the film. Everything narrowed down and all loose ends addressed. - Research: Gathering references and knowledge, a foundation for the style of the movie. Take research trips on location OR rely on books, television documentaries, movies and the internet. 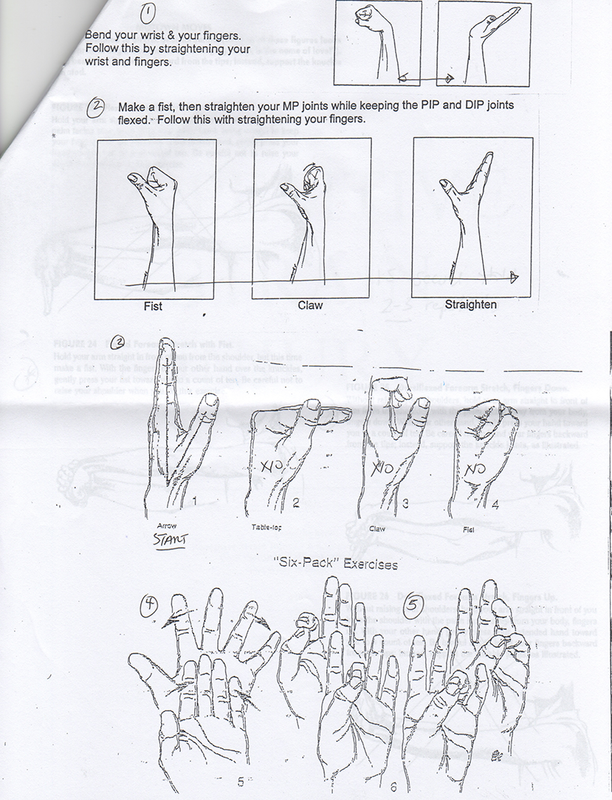 "...go back to school[,] learn how things look, and learn how to draw them" (p. 47). More thorough research = less work/problems later. - EXAMPLE: Aladdin - Emphasis placed on coming up with a look that is fresh and new. References were from Orientalist French artists (especially Jacques Majorette and Jean Lean Gerome) from the turn of the 19th century who emphasized the Middle East in designs. The palace garden was designed around Persian miniature art. Style was a mixture of Orientalist paintings and cartoony. Richard van der Wende was the production designer on the film and a talented background painter who did key master backgrounds himself. - The Creative Process: 1) Come up with a look no one has done before. 2) Research - Having a library of movies and books on animation can help. Watch and explore movies, documentaries, comic books, art books in various styles. "Refreshes the batteries!" 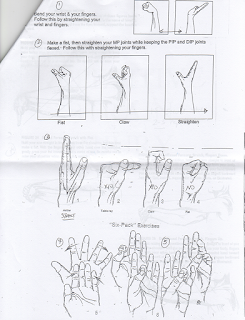 (p. 58) Gather variety of styles and ideas; extensive examples listed on pp. 58-59. 3) Movie artists aren't supposed to have a style (unless you are hired for it), instead they find and develop a look for each production that is completely unique from anything else in existence. - Camera Rules: In animation, layout artists plan the use of the camera (breakdowns, different shots, perspectives, number of characters, locations, floor plans, direction of light, props, effects...etc.). The storyboard just tells the story, it doesn't give angles or interesting compositions. The production designer helps with the best choice of camera angle. Dialogue scenes need to be carefully planned and have interesting, but not confusing, cutting. Often floor plans are devised to help with the position for the camera, movement, and light direction. 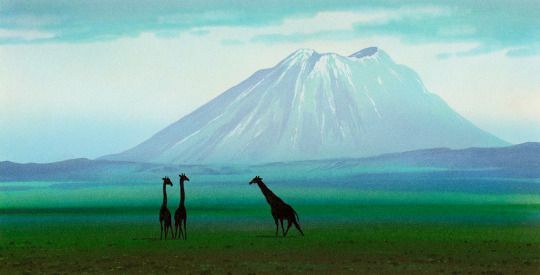 - EXAMPLE: The Lion King - Unique to this film was the development of stunning visual effects (lens flare, out of focus to the extreme...etc.). - Composition: in film, "the harmonious combination of shapes and movement within a field..." (p. 72). Good composition includes order, rhythm and balance. Avoid boring or uninteresting compositions. "Lead the eye to the center of your stage where the action takes place" (p. 75). Unlike a painting, in film, the images are shown fast and have to be precise in the arrangement (nothing is accidental, every choice made has a specific reason), leading the eyes of the audience. "A good film consists of well-planned composition of very differently staged shots..." (p. 78). Key compositional moments come from the script, mood, action (including current, previous and to come). Avoid color at first, use greyscale to simplify composition (4-5 values). 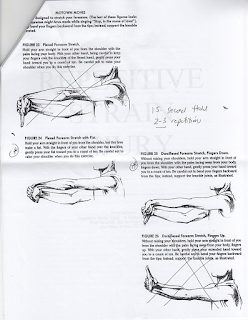 Lines must be treated carefully, as to not distract but enhance the design and composition. Doing comp. studies based on live action movies are helpful (see pp. 84-85). Triangle rule helps with dynamic character placement. Err on the side of simplicity when designing. - EXAMPLE: Brother Bear - Collected compositional ideas to help visualize the script. - Camera Movements: Pans - typically horizontal movements (left to right is most common, right to left can add drama). Truck in/truck out - diagonal moves. Vertical - follows objects into the sky. Circular - rare. Pans vary for different film formats: in normal format, pans start when the character moves; in widescreen, the character has room to move halfway through the picture before the pan starts. - EXAMPLE: Hercules - Developed copious designs in a short amount of time. - Staging: the placement of characters within a set. Employ rhythm in compositions. Vary speed and style of cutting between sequences to avoid too much of a good thing. Save special ideas for the climax, don't give it all away at the beginning. - Projection Method - a way to visualize a scene in three dimensions (see p. 94). - Trick on how to keep perspective on close ups (p. 96): use a character in the distance and project lines out from the vanishing point to the size of the foregrounded character. - Camera Lens Sizes - the smaller the lens millimeter size, the wider the picture. - Formats: Various formats present different challenges when composing a shot (examples on p. 99).